Since we like to encourage responsible parenting, this might not be the best time to take part in the aforementioned drinking-around-the-world challenge. But, you can surely eat around the world, stopping for a bite at each of the quick-service spots in each country. Though widely regarded as a place for kids, Walt Disney World has plenty up its sleeve for adults. (Drinking around the world, anyone?) The trick is figuring out how both adults and kids can maximize their fun at the same time. 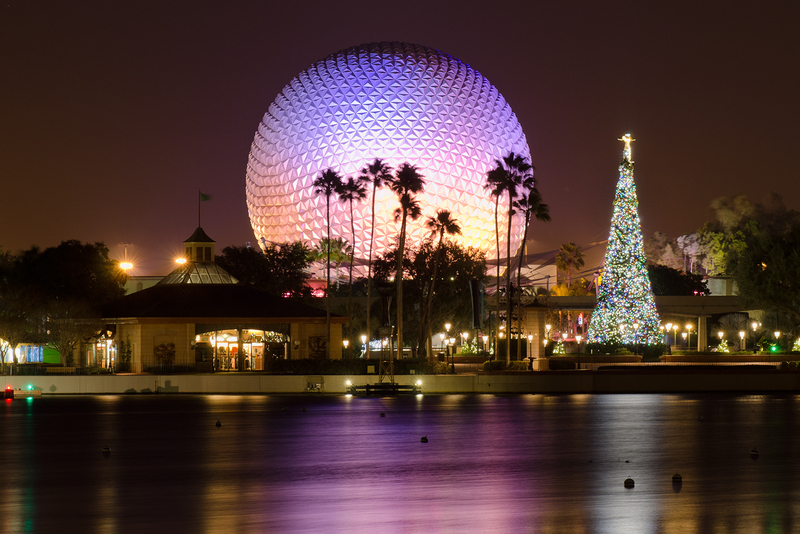 So, whether you're taking your own kids to meet Mickey, or trying to stay sane on a family vacation with your brother's toddlers in tow, use this guide (and these hacks) to ensure everyone gets the most out of the trip. Depending on your level of crowd tolerance, you may be spending a lot of time at your hotel. Thus, it pays to choose a place where there's enough to keep you entertained. Disney's Yacht and Beach Club comes with the huge bonus: you can take a boat (or walk) to both Epcot and Hollywood Studios. Kids will love the pool, which is sand-bottomed like a real beach, and features a life-size replica shipwreck with a water slide. 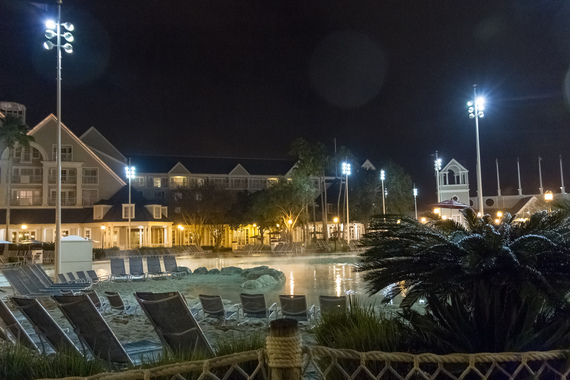 Everyone can stroll over to the neighboring Disney's BoardWalk to rent a surrey bike or watch the game at ESPN Zone, and adults can also take advantage of BoardWalk's restaurants, dueling piano bar, and nightclub. For animal lovers, there's Animal Kingdom Lodge, where watching the wildlife roam the hotel grounds will keep kids quiet, while adults can channel their inner Steve Irwin on one of the safaris that are only available to hotel guests. Though billed as a campground with sites for everything from tents to tour busses, Fort Wilderness also rents cabins for those less inclined to rough it. And there's almost no limit to the activities both kids and adults can get into: horseback trails, pony rides, wagon rides (! ), archery lessons, canoeing, dinner shows, you get the gist. After the sun goes down, everyone can watch a movie and roast s'mores around a campfire with Chip and Dale. Magic Kingdom is the signature Disney World experience, but its activities definitely skew towards guests in strollers. If you can convince your youngsters to ride the "big-kid" rides, Space Mountain, Big Thunder Mountain, and Splash Mountain offer the biggest thrills, while the new Seven Dwarfs Mine Train is probably your best bet for a starter coaster. Otherwise, you can't go wrong with classics like Pirates of the Caribbean or Peter Pan's Flight, which is honestly worth riding just to see how comically outdated it is. When it's time to eat, get a table at Be Our Guest if you can, since that's the ONLY place in the kingdom that serves adult beverages. We repeat, this is the only place in the Magic Kingdom to score booze. Otherwise, dining inside the castle at Cinderella's Royal Table is pretty solid no matter how old you are. Bonus: the princesses will make an appearance, offering plenty of autographs for the kids and Instagram ops for the adults. 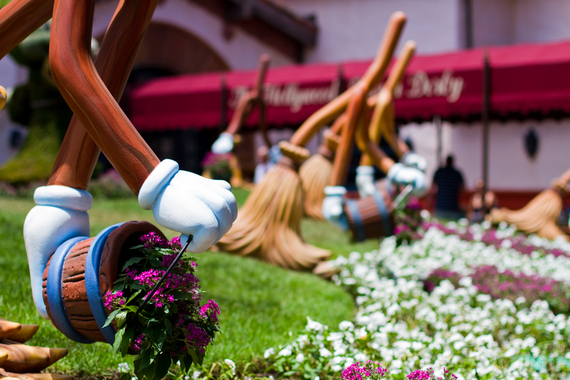 Poor Hollywood Studios has had to live with the stigma of being the "boring park" for years. (That will change once Star Wars Land opens!) It's true that there aren't a ton of rides here, but there's something for all ages. This is where you'll find Disney World's two true thrill rides, Twilight Zone Tower of Terror and Rock 'n' Roller Coaster. Once you've had a nice shot of adrenaline, throw the youngsters a bone and ride through Toy Story Midway Mania (think virtual carnival games). If nothing else, you and your buddies can take bets on who can hit the high score on the ring toss. Muppet*Vision 3D brings some PG-rated laughs for all, and Disney Junior Live on Stage! will make the littlest ones happy for a while. If you're able to ditch your aforementioned nieces and nephews, kick back in Dad's Living Room in the Tune-In Lounge for a few drinks. It's attached to 50's Prime Time Café, where the waitresses act oddly like your mom's Great Aunt Flo, nagging at adults to clean their plates, mind their manners, and "open wide for the choo-choo train." This role reversal being, of course, wildly humorous for kids, who relish in adult humiliation. It's actually a lot of fun, promise. 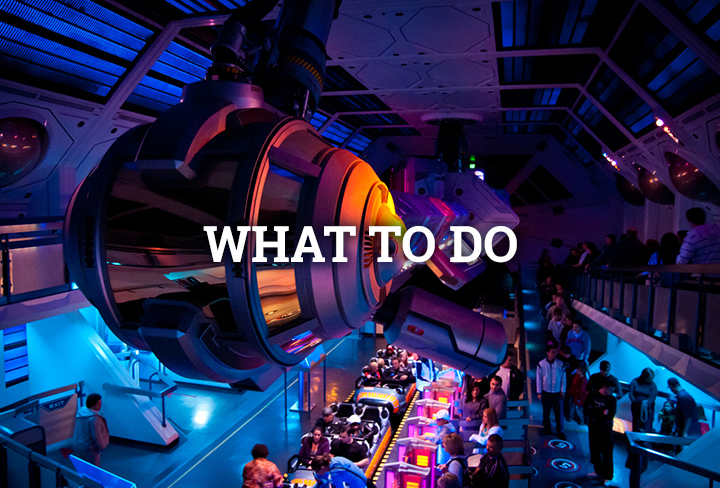 But, if playful belittlement isn't your bag, try Sci-Fi Dine-In Theater, a giant replica drive-in, where you eat at tables shaped like vintage cars while watching retro movie clips. Since we like to encourage responsible parenting, this might not be the best time to take part in the aforementioned drinking-around-the-world challenge. But, you can surely eat around the world, stopping for a bite at each of the quick-service spots in each country. Think bao or egg rolls in China, soft pretzels in Germany, tacos in Mexico, etc. While you stuff your face, the kids can occupy themselves alongside you by solving a mystery as part of Agent P's World Showcase Adventure. When it comes time to sit down for a real meal, plan to take down soft pretzels and sausages at Biergarten in Germany whilst enjoying the musical stylings of an oompah band. Kids are encouraged to get up and dance, which is a great way to occupy them while you make a third trip to the buffet. Just a warning: this restaurant features family-style seating so you may be sharing your table with strangers. (Use the time to tell them about the really informative adult guide to Disney you found on the Internet that's making your trip sooooo much more fun. Or just ignore them. Your call.) For a quieter meal, Coral Reef puts diners in an aquarium, so you can watch the marine life float by as you dig into your crab cakes. Afterwards, head next door to ride Soarin', which both kids and adults will be pretty amazed by. (Technology, man!) Or, once you've really digested, take a spin on Mission Space, which literally simulates a flight to Mars. For kids, and those with weak constitutions, there's a toned-down version, too. No barf bags needed. To find out how to make the most out of Disney World's food, activities, rides, and more, get the full story at Thrillist.com!